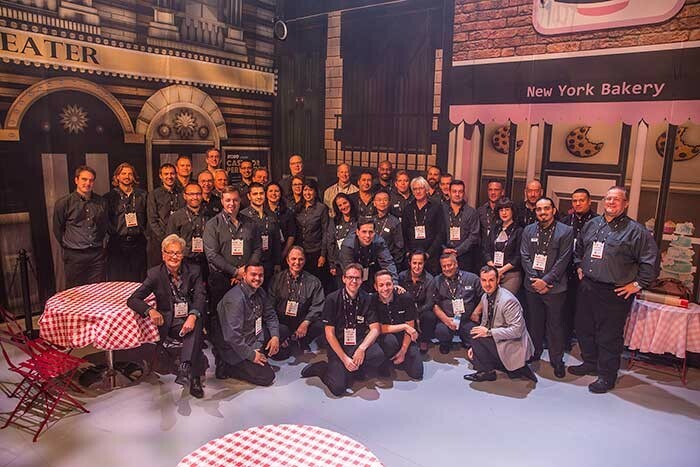 USA – Robe enjoyed an action-packed LDI expo in Las Vegas, this year all the more memorable for collecting a coveted 2016 Parnelli award in the ‘Indispensable Lighting Technology’ category for the hugely successful BMFL WashBeam luminaire. 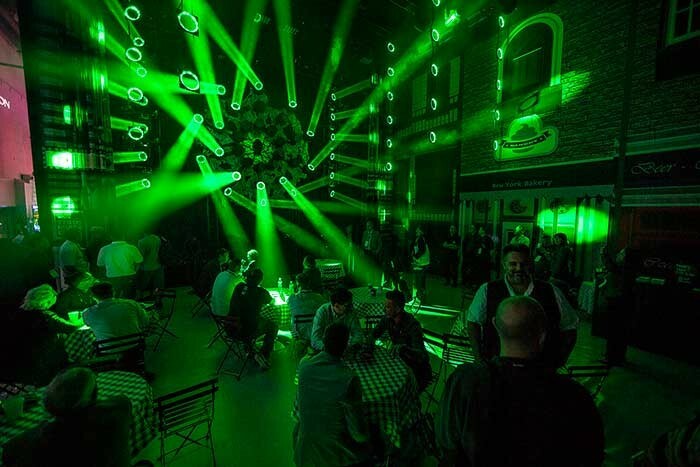 Robe highlighted two brand new products for the first time at a US exhibition, the Spiider LED wash beam, “the next big thing” from the Czech manufacturer, and Halo, an ingenious new LED pixel technology device. Also new was the Spikie, a small, super-fast LED wash beam. 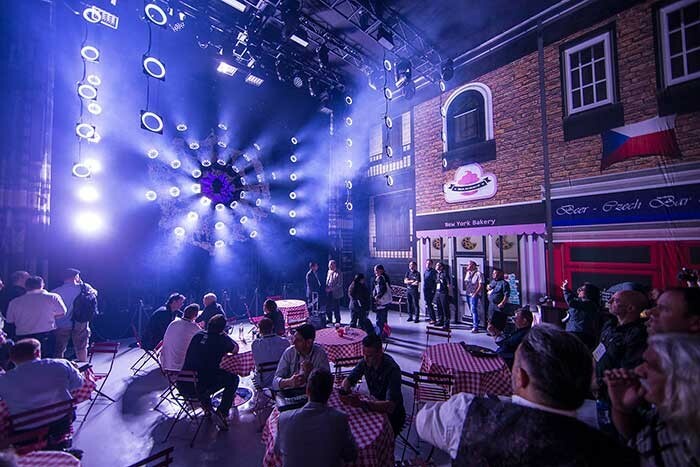 The full BMFL range of high powered signature moving lights, popular in the US were also prominent on the stand, together with the elegant DL series of potent LED luminaires designed specifically for the demanding worlds of theatre and performance. The arty and scenic PATT range of retro-styled tungsten lights additionally made an impact. Much anticipated, 42 Spiiders and 31 Spikies were the visual centrepiece of a special light show running every hour, each time attracting massive crowds to the booth, further ramping up the Robe buzz. The eye-catching theatrical booth concept that has featured at all of Robe’s major trade exhibitions this year was continued, customised for LDI with a Broadway street theme, complete with New York soundscape, news stand, a bar for happy hours, warm Czech hospitality, cookies and other fun elements encouraging a great atmosphere. Two demonstration areas integrated into the main booth and meeting area were in constant operation throughout the show, allowing visitors to take a closer look at products of interest. Robe’s own ‘Spiider Man’, Danny Jonusas from the US technical team, donned a cool spider suit and strolled the show floor in a #catchthespiider social media initiative that aroused plenty of response. Anyone posting a photo of Danny with the appropriate hashtag across social channels could come to the stand and claim a goody bag of funky Robe Spiider swag. Also incorporated into the slick stand design was a dedicated area for sister company, architectural LED specialist Anolis, which was also kept its own sales and technical staff busy. Robe’s US team enjoyed support from a dynamic international presence including Robe’s CEO and co-founder Josef Valchar and sales director Harry von den Stemmen, plus top management and sales anchors from key subsidiaries worldwide including France, the Middle East, and Latin America, the UK and Asia Pacific, as well as several of Robe’s proactive European distributors. 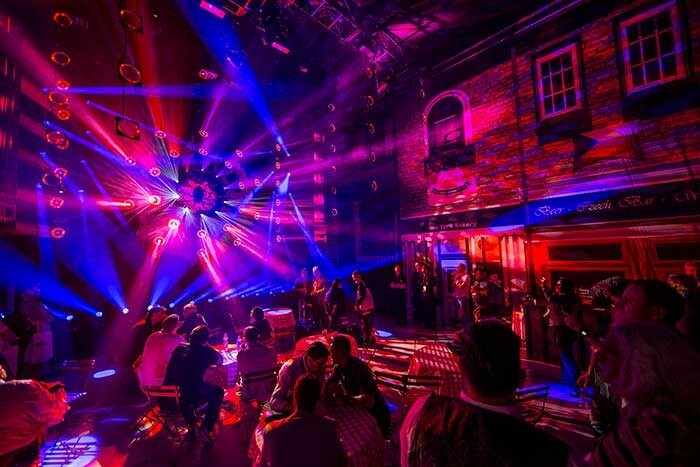 This reflected both the increasingly global demographic of LDI and the rich cultural and commercial crossovers between North and Latin America in particular. The Parnelli’s are generally considered the Oscars of the entertainment technology and live event industry in recognising pioneering, influential professionals and their contributions, honouring both individuals and companies. The winners are voted for by industry peers via leading US trade magazine and media portal, PLSN. Winning the 2016 ‘Indispensable Lighting Technology’ Award underlined the hard work, foresight and spirit of innovation encapsulated in Robe’s R&D process which results in ground-breaking products like the BMFL range and specifically the BMFL WashBeam which won the Award. Another excellent expo reflects Robe’s continually rising brand presence in North and Latin America.